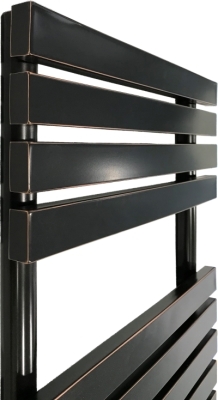 The most exquisite and enjoyable rail available, the Rointe Designline also has the latest technology to boot. 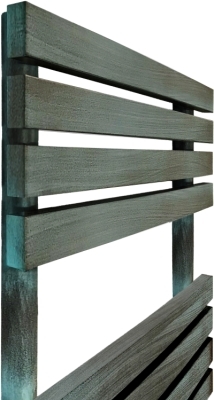 Made of 1.5mm thick ST12 steel and electrically welded for a perfect seal, the radiator is water-proof and features a slight curve design. 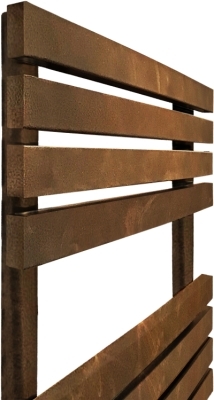 Available in a variety of bespoke finishes, the artisanal quality will boost the aesthetic of your bathroom. 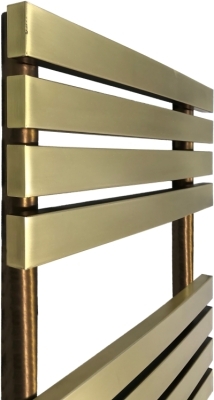 Keeping towels warm and heating your bathroom, the large D Series towel rail is available in a variety of sizes and power outputs. 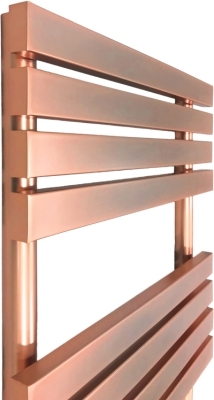 The D Series Towel Rails have a resistance of between 300 and 750 watts, which guarantees an optimal relation between resistance and thermal fluid, ensuring your rail heats quickly, and retains the heat for longer. Installation is very quick and simple, able to plug in and go. We provide a template for marking the wall to ensure perfectly placed fittings, and all fixings are included. The instructional manual will advise on floor and wall positioning and distance from the electrical socket and any water sources. The Rointe offers Smart technology with low consumption, Open window detection and weather prediction determines the energy required to reach the desired temperature. 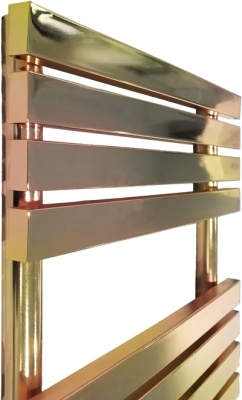 Once reached, the intelligent inbuilt technology generates thousands of micro cuts in energy consumption to maintain a stable temperature within a thermal variation of only ±0.25°C. Therefore, Rointe products only need an average of 38% of their nominal power. The rail’s large TFT display provides easy access to temperature readings and efficiency indicators. Using a traffic light system of red, green and amber, the D Series indicates the week’s energy usage and wastage. Each Rointe product complies to Lot 20 regulations, pushing for ecological and economical heating. The Designline ensures complete comfort through a beautiful aesthetic and the latest home automation technology. The towel heater’s full functionality can be accessed through the inbuilt WIFI connection linking with your home router. Controlling individually or in tandem, Rointe heaters can be scheduled and modified from the comfort of your smartphone or tablet. The product has a lock function, ideal for stopping student and children’s hands making costly changes. The Designline features anti-frost mode as well as comfort, Eco and user mode. The boost function can be activated for 15, 30, 60 or 120 minutes providing instant heat. 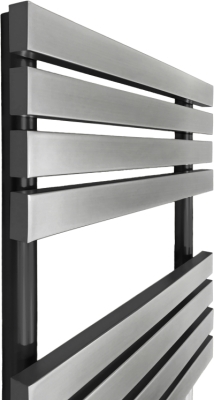 The towel rail can be programmed for 24 hour 7 day controlled performance, supplying flexible heating tailored to your schedule, no matter how irregular. The Rointe Designline offers a first class aesthetic with the best functionality to ensure excellent performance and efficiency.